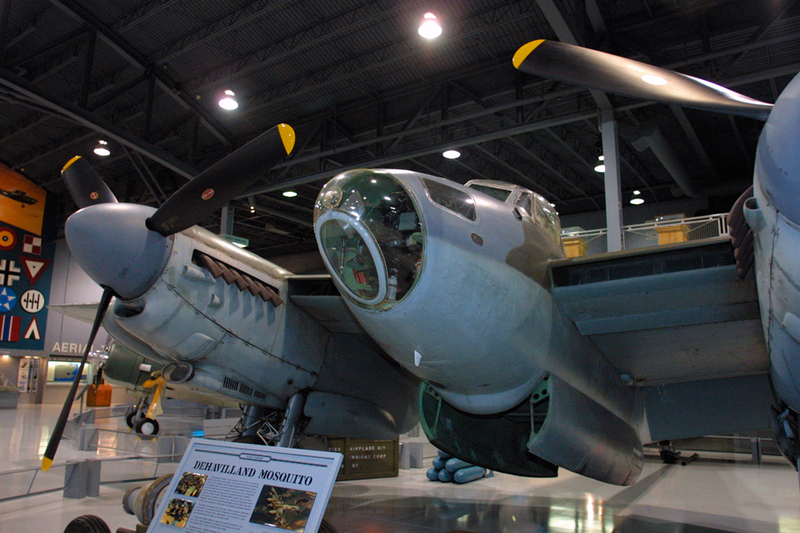 One of the seminal combat aircraft of World War II, Geoffrey de Havilland's DH.98 Mosquito, was without peer. 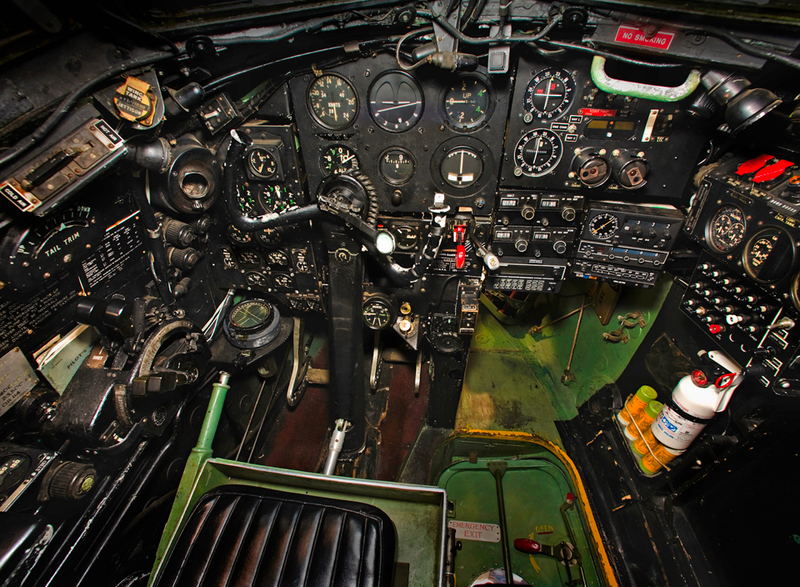 It was equally at home at the heady heights required for high altitude reconnaissance as it was skimming tree tops in daring low-level precision raids attacking targets with rockets and bombs. 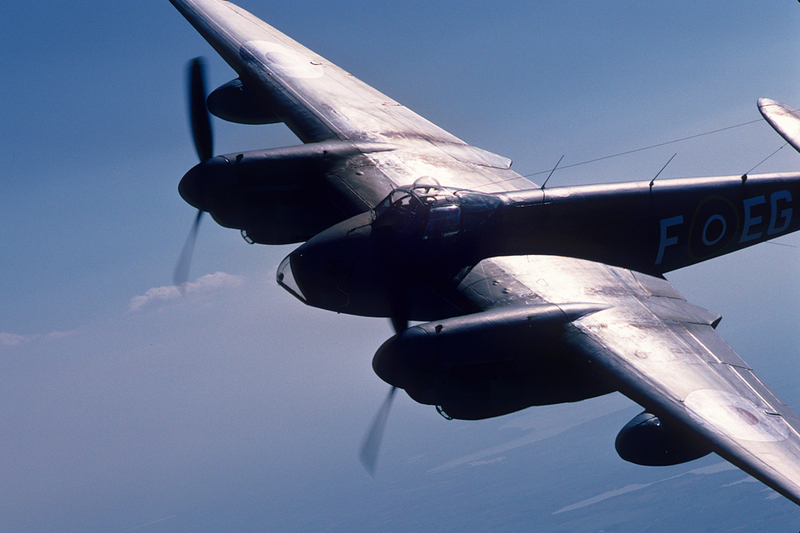 The sleek, all-wooden machine could carry impressive loads across great distances at incredible speeds for a twin-engine bomber, but was initially unwanted by the British Air Ministry. In a letter dated September 20, 1939, to Air Marshal Sir Wilfrid R. Freeman, air member for development and production, aircraft designer Geoffrey de Havilland outlined his proposal for a “high speed unarmed bomber” constructed out of non-strategic materials that could fly at level speeds faster than current fighters in service. The very concept of the proposal went against the grain of traditional bomber philosophy within the Royal Air Force, but Freeman instantly approved, placing his reputation on the line in support of de Havilland's bold ideas. As a result, the DH.98 was initially known as Freeman's Folly. The first example was built by hand in total secrecy with company money on the grounds of Salisbury Hall, a mansion house not far from the de Havilland production facility at Hatfield, Hertfordshire. 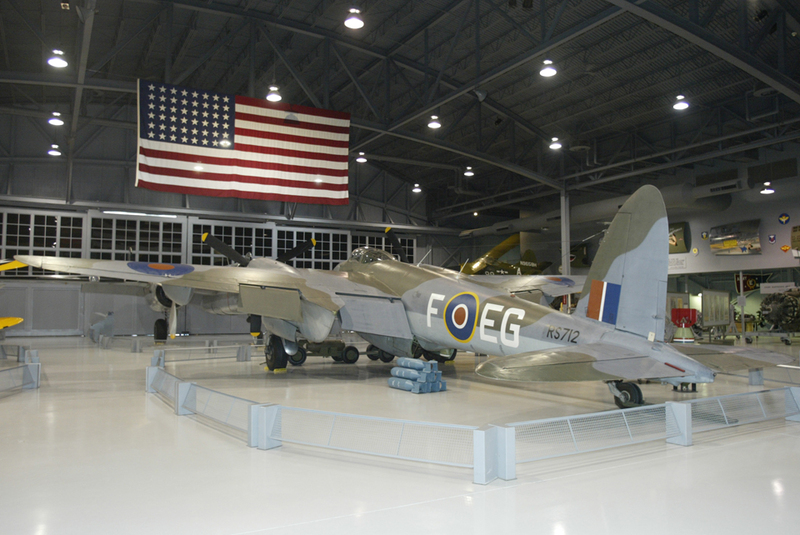 First flown on November 25, 1940, by chief test pilot Geoffrey de Havilland Jr., the bright yellow machine was sent to Boscombe Down in Wiltshire where it was extensively tested. Initial impressions were entirely favorable; in performance trials the machine exceeded even the manufacturer's expectations, achieving a level speed of 388 mph at 22,000 feet during one test flight. Two further prototypes followed in early 1941; a dedicated night fighter equipped with four 20-mm cannon and four .303-inch machine guns, and a high altitude photographic reconnaissance variant. It was the latter version that entered operational service first, with the Photographic Reconnaissance Unit at RAF Benson on July 14 that year. 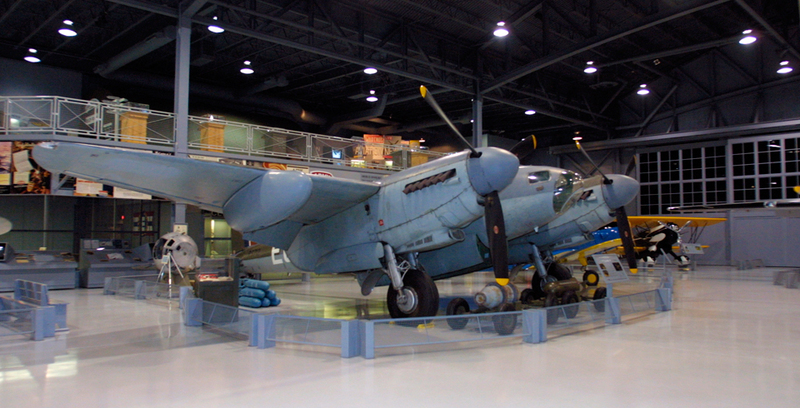 In spite of production orders being placed as early as March 1940, the first Mosquitos did not appear on bomber squadron operations books until November 1941. On the 15th of that month, the first B Mk.IV arrived at Swanton Morley to equip 105 Squadron, formerly operating the obsolete Bristol Blenheim Mk.IV. As with most other units operating the Mosquito over the next three years, the young airmen of 105 Squadron were instantly impressed with the machine; with suitable modification it could carry 4,000 pounds of bombs deep into the heart of Germany with relative impunity. 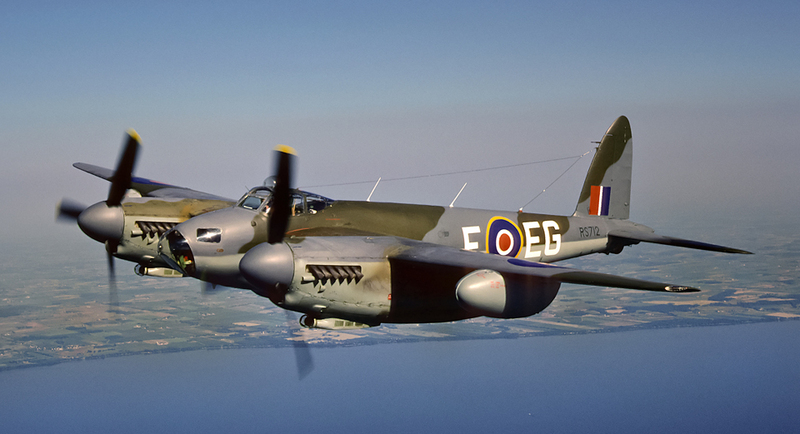 Meanwhile, further variants of the Mosquito were being built for the other commands within the RAF and the Royal Navy, the FB Mk.VI fighter-bomber, equipped with cannons and machine guns could mount a varied array of weaponry, including four rail launched unguided rocket projectiles under each wing. With RAF Coastal Command, the FB.VI was a formidable anti-shipping weapon, skimming the wave tops on approach to their targets. 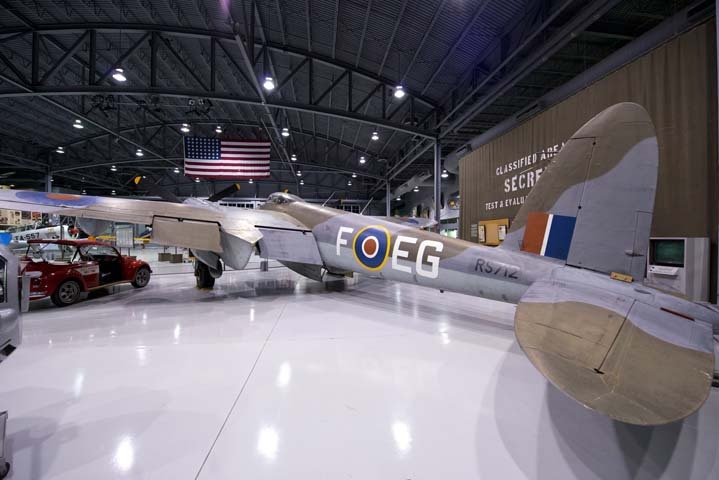 One of the most unusual weapons the Mosquito was converted to carry was the Highball anti-shipping bouncing bomb, developed by talented engineer Barnes Wallis. In spite of the success of 617 Squadron's attack on the dams in the Ruhr valley on May 16-17, 1943, using bouncing bombs carried by Avro Lancaster bombers, the 'Highball' bomb never entered service with 618 Squadron and their Mosquitos. Not all users of de Havilland's “Wooden Wonder” were entirely impressed with the machine however; its unconventional construction conspired against it during operations in the humid China-Burma-India Theater of operations. Squadrons equipping with the Mosquito after using the Bristol Beaufighter in Burma shortly swapped the Mossie back for the Beaufighter again due to failures of the Mosquito's wooden wing spar in the heat. 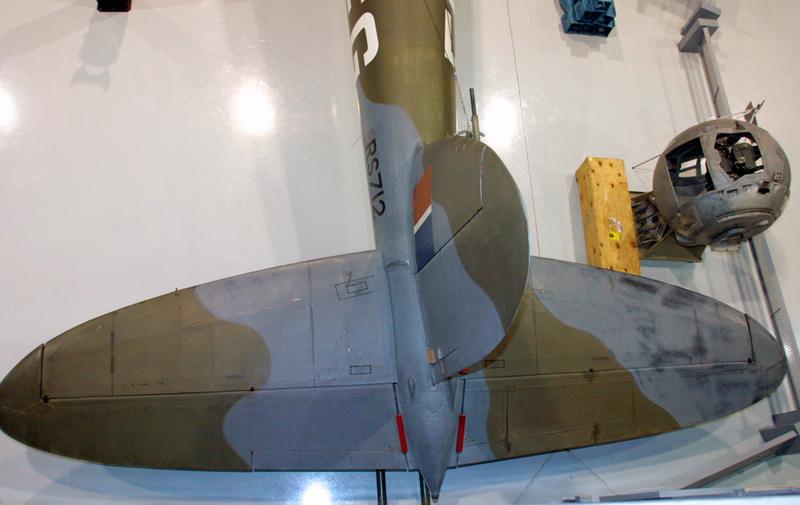 Subsequently, all Mosquitos diverted to the Far East had inspection panels cut into the wing roots to enable the spars to be inspected for weakness. 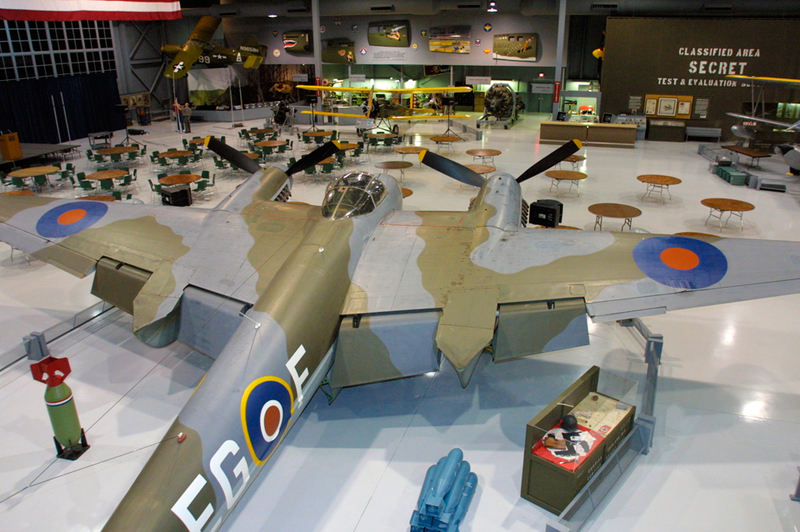 A perhaps unsurprising role for the Mosquito during wartime was as a high-speed transport. British Overseas Airways Corporation (BOAC) flew a small number of Mk.VIs with their armament removed and a modified bomb bay converted to carry passengers in very cramped conditions. By the end of the war, some 520 round flights had been made to neutral Sweden by BOAC Mosquitos. 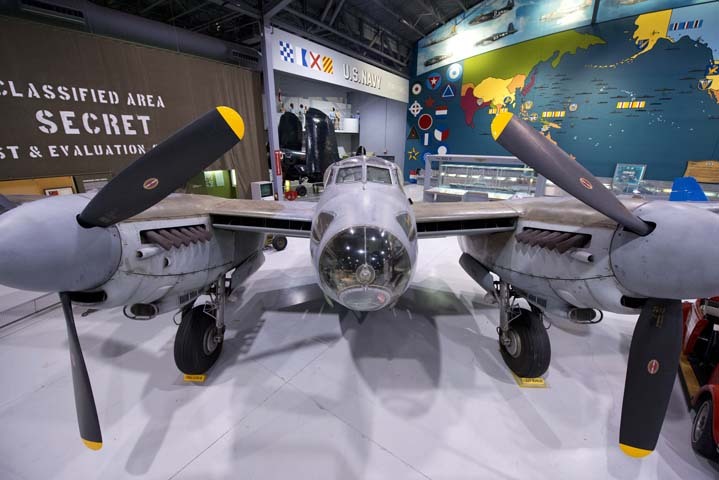 With the end of the war, production of the Mosquito continued and surplus examples were exported to many nations around the world, re-equipping their air forces with the multi-role bomber. Post-war saw a scaling down of operations within the British armed forces, the roles altering as the machine was phased out of frontline service. The last variant in RAF use was converting B.35 bombers into the TT.35 target tug. 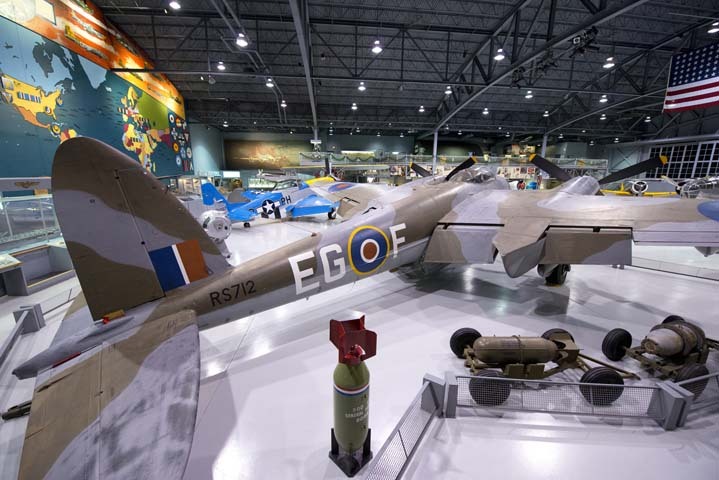 The biggest difficulty found with the Mosquito was how to replace it in its multitude of uses; the English Electric Canberra jet bomber adequately filled this mammoth task in 1951, the concept of the high-speed unarmed bomber was in line with the design philosophy of that aircraft. The last examples of de Havilland's wonder plane rolled off the production lines in 1950. A grand total of 7,781 examples were built in more than 30 variants in Australia, Canada, and England by the time production ended. Remarkably, the first prototype, serial W4050 still survives, at its birthplace in a small museum at Salisbury Hall, London Colney, Hertfordshire. One of the most fitting tributes to the Mosquito comes from the commander-in-chief of the Luftwaffe during the World War II, Reichsmarschall Hermann Göring, whose radio address in Berlin in January 1943 was taken off the air by a low-level attack by 105 Squadron Mosquitos. "It makes me furious when I see the Mosquito, I turn green and yellow with envy! The British, who can afford aluminum better that we can, knock together a beautiful wooden aircraft that every piano factory over there is building. They have the geniuses and we have the nincompoops. After the war is over I'm going to buy a British radio set – then at least I'll own something that has always worked." 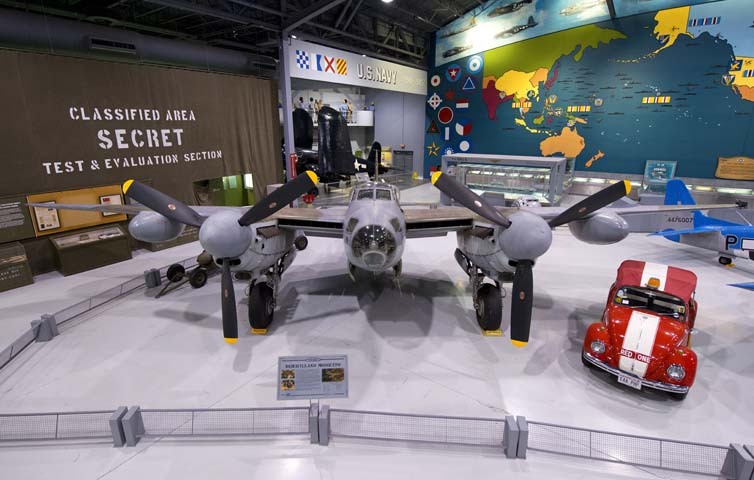 The example in the EAA AirVenture Museum was built as a B.35 but later converted to a TT.35 and is on long-term loan from the collection of Kermit Weeks.